Five Seattle chefs at the top of their game. Between them, they have 19 James Beard award nominations, 16 restaurants, and countless rave reviews from some of the nation’s toughest critics…And oh, they all happen to be women. These five chefs are part of a growing number of women changing the culinary landscape and man, are we lucky to have them here in Seattle. This is the third installment of a five-part blog series about the worlds of Chefs Maria Hines, Monica Dimas, Rachel Yang, Shannon Martincic, and Renee Erickson. Read about Chef Maria Hines‘ stellar organic cuisine and Shannon Martincic‘s Northwest focused taqueria, then stay tuned for more to come. And now, the woman introducing Seattle to upscale Korean flavors: Chef Rachel Yang. Let’s talk about monkey bread. Ever heard of it? Before last week, I hadn’t either. And believe me, I’m very invested when it comes to food. I love making it, I love watching TV shows about it (Chopped, anyone?!) and I certainly love eating it. 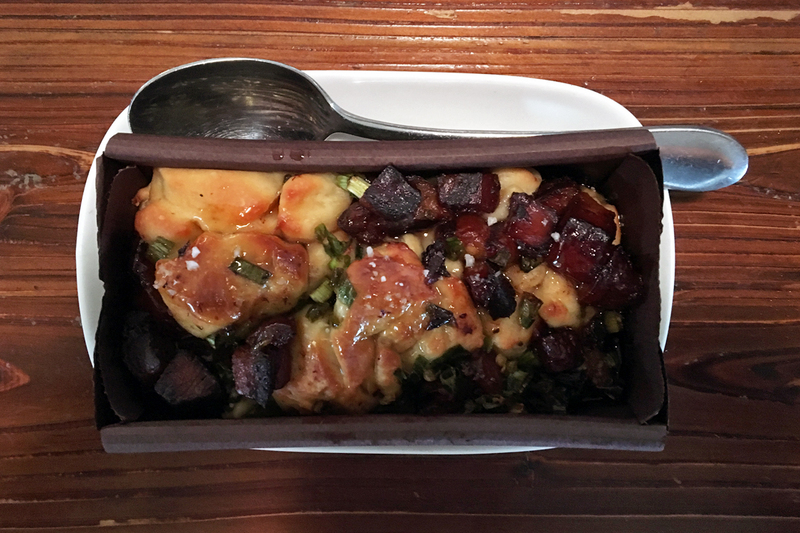 So when Chef Rachel Yang’s monkey bread became my new favorite food on a recent Saturday morning, to say I was surprised is an understatement. For the last twenty years or so, I was pretty sure tortellini with pesto was my number one food. Monkey bread wasn’t even on my radar, much less at the top of my list. But maybe that’s why Rachel Yang has been nominated for a James Beard award every single year for the past 8 years. 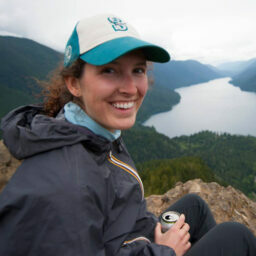 She hasn’t won yet, but you know it’s only a matter of time at this point, with three restaurants in Seattle and a new one opening in Portland. Chef Yang’s cuisine defies labeling. Once thing is clear: it’s not “Asian fusion.” After all, you never see French fusion or Italian fusion restaurants, do you? Only Asian restaurants are hit with the “fusion” label. And Chef Yang’s elevated food deserves better. Her Korean heritage certainly has a strong presence on her plates, but it’s married with her French haute cuisine background and contemporary American cooking. I first heard of Chef Yang when she was opening her third restaurant with husband and business partner, Seif Chirchi, in 2014. This restaurant was unlike any I had ever seen — an ambitious four-in-one establishment that would house a frozen custard parfait window, a noodle counter, a bar/lounge and a Korean barbecue restaurant all under one roof. That restaurant is called Trove. And it went on to be named one of GQ‘s 25 Most Oustanding Restaurants of 2015. Trove joined Chef Yang and Chef Chirchi’s first two restaurants: Joule and Revel. Joule, a gem of a eatery located in Seattle’s Fremont neighborhood, shares a building with The Whale Wins —owned by another powerhouse female chef: Renee Erickson. But this time, I went with the only Yang restaurant I had never been to: Revel. Located in the funky neighborhood of Fremont, Revel is no exception to Chef Yang’s sweeping critical acclaim. Former New York Times food critic Frank Bruni labeled the asparagus rice bowl he had there “The Best Thing I Ever Ate.” As I walked in for brunch, it was that rice bowl I had in mind. Revel has a very distinctive exterior. It’s a low building with only a few tiny windows facing the street and most notably, is entirely covered in a rusty metal siding. As odd as that might sound, the effect is rather intriguing and stylish. As soon as you turn the corner and get a peek at the restaurant’s small entryway patio, it feels as though the secrets hidden by its impenetrable exterior are about to be revealed to you. 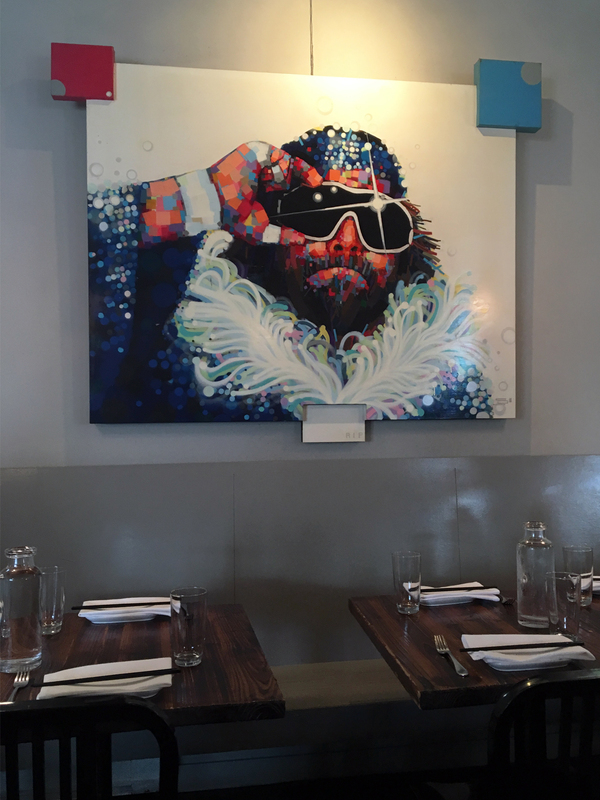 And the secrets are: a bright, airy modern space, anchored by a huge wooden counter, a narrow covered patio running the length of the restaurant and wall of vibrant contemporary art created by Seattle artist Justin Kane Elder. But the best is yet to come. After snagging a small table next to the counter (where you can watch the chefs deftly assemble plates at lightning speed), we perused the brunch menu. 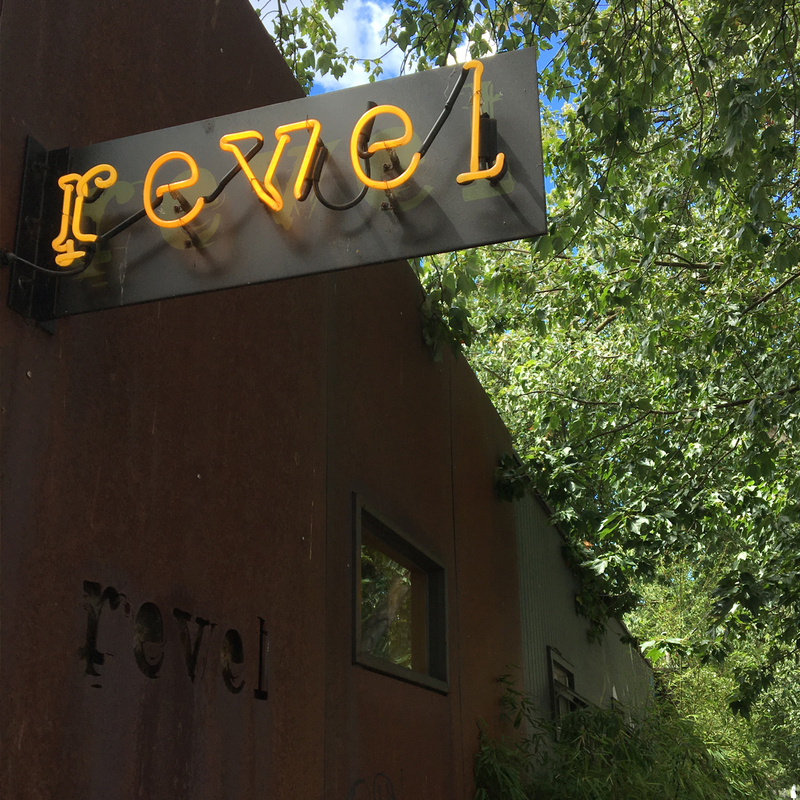 Unlike many brunch spots, Revel wasn’t packed at 11:30am when we arrived — a welcome relief from the hour-long waits encountered elsewhere in Seattle. 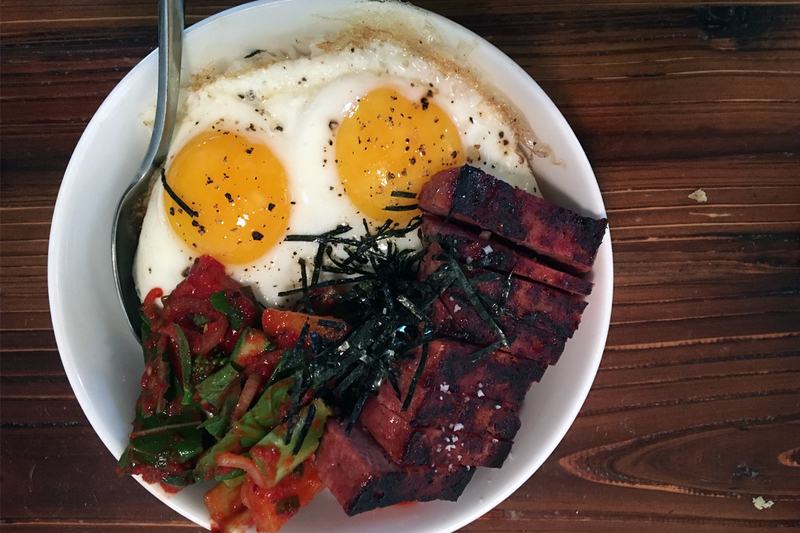 Frankly, I think it’s just not somewhere many associate with brunch because of the savory, spicy Korean fare Chef Yang is known for. And her brunch menu includes plenty of that. On the menu is an unexpected selection of both sweet and savory plates that range in size and are meant to be shared. Some stand-out dishes include: a chai spiced donut with chocolate chipotle glaze, a pork belly pancake with sesame, a mushroom porridge with bacon, kale and red curry and a pork katsu. It’s not an exaggeration to say that every dish on Revel’s menu involved a combination of ingredients I had never seen before. Our first dish was one that came recommended: the pork belly monkey bread with pickled jalapeno and spiced maple syrup. After the monkey bread, our two larger dishes arrived. 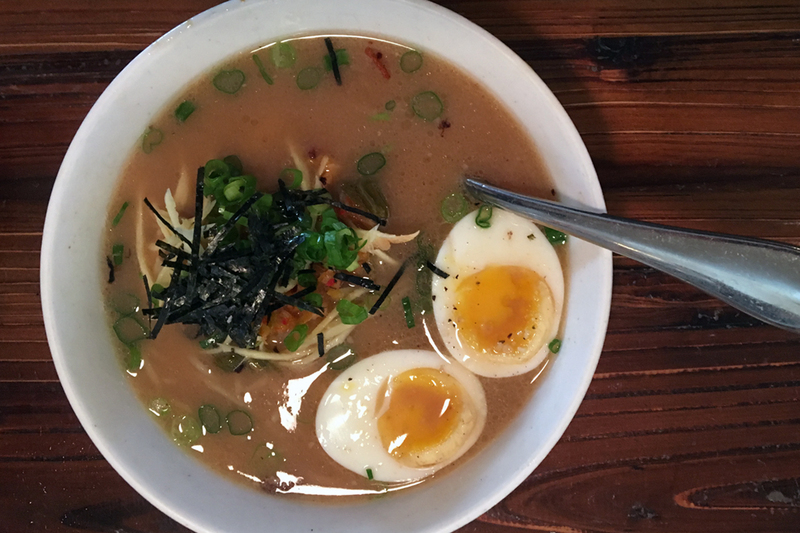 The Revel ramen had a rich, salty broth swimming with curly wheat noodles and piled with pork belly, kimchi, soft-boiled egg, green onions and dried seaweed. It was about as far as you can get from the “ramen” of your Cup O’ Noodles. The spam and pineapple kimchi rice bowl I ordered didn’t quite live up to my monkey bread experience of a few minutes before. Nonetheless, the pineapple kimchi was another lovely Chef Yang surprise: the sweetness of the pineapple paired nicely with the spicy, pickled kimchi flavor. And the spam was a crispy complement to the runny, perfectly fried eggs. None of the dishes I ate (or saw) at Revel that day were something I ever expected to eat for brunch. Or, really, even to see on a menu. That’s because Chef Yang doesn’t do the expected. The same way her food doesn’t do labels. How do you categorize a cuisine where pork belly-jalapeno monkey bread sits next to ramen and a chai spiced donut on the table? You just can’t. It doesn’t fit into a box. Which is why it’s so exciting to take part in and why I can’t wait see what fresh idea Chef Yang comes up with next. 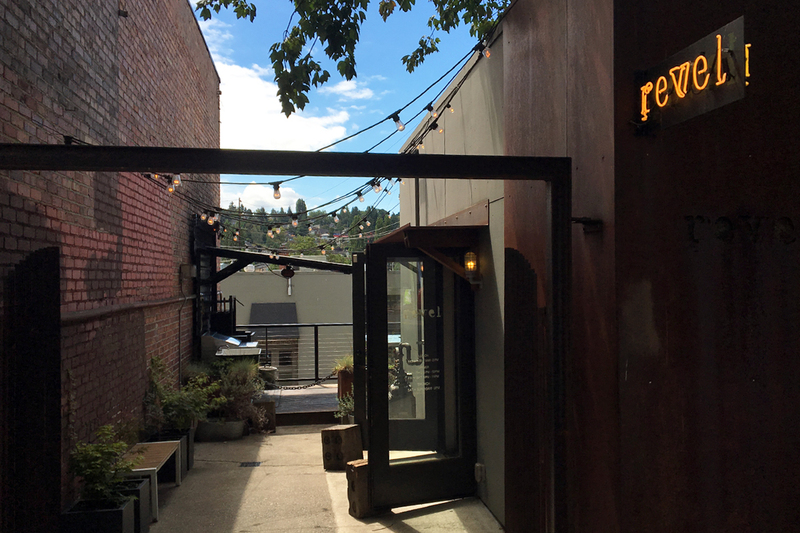 Revel is located 10 minutes north of downtown in the Fremont neighborhood of Seattle. It is open for lunch at 11am Monday through Friday, dinner at 5pm every day and brunch at 10am on Saturday and Sunday. 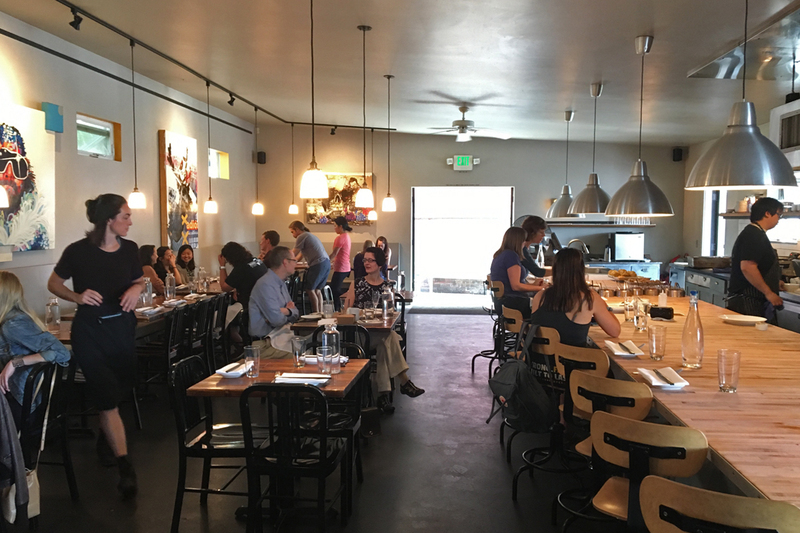 Chef Yang’s other two Seattle restaurants are Trove and Joule.